Relocating to a new place? Excited! Stressed! Moving is undoubtedly an exciting but taxing job. It involves careful planning and meticulous execution. A lot of time, effort, hard work and patience go into documenting a memorable move. Though it comes across as a DIY task, for a smooth and stress-free removal, it is prudent to hire a professional mover. 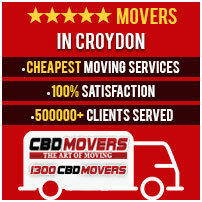 At CBD Movers™, we are a professional team of movers rated amongst the top moving companies in Melbourne. Our comprehensive services ensure a solution for every moving need. We are staffed with highly trained personnel who walk that extra mile to register a positive and pleasant move. Equipped with the latest supportive gear and owners of a huge fleet of trucks, we promise a safe and hassle-free move. At CBD Movers, our team is skilled to handle any type of relocation. We possess the latest tools and equipment required to execute a flawless move. We are aware of the distinct customer requirements and offer customized solutions to cater to varied needs. While our ‘Two Movers and a Truck’ services are apt for moving one-off items like pianos, pool tables, and bulky furniture, our ‘Movers & Packers’ deal offers comprehensive support for home and office moving. Whether you need help to plan and organize your move or need assistance to pack, load, move, unload and rearrange belongings, CBD Movers is a perfect choice for any sort of moving requirement. Our sophisticated packing materials impart maximum protection to goods and belongings. Our well-equipped trucks allow us to commute through varied terrains without risk of damage. We possess all the mandatory licenses required for a hassle-free local, national or international move. 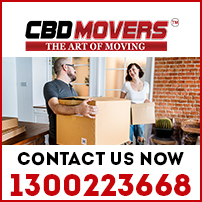 At CBD Movers, we are a well-established removal company in Melbourne. We are committed to impart the best services at the lowest rates. Our promise to slash competitor quote by 10% makes us the cheapest removalists in Melbourne. We also offer comprehensive transit insurance for safe transit. All our deals are transparent with zero hidden clauses. Croydon is a prominent suburb of Melbourne, Victoria, Australia. Spread over an area of 14.3 square kilometers, Croydon supports a population of nearly 25,000 people. Beautifully laid houses, well-structured office spaces, eateries, clothing outlets, music and toy shops and hairdressers and more, Croydon packs everything close together. At CBD Movers, we take pride in our matchless moving solutions. We offer extensive support to undertake all relocation jobs in the area. Our services are safe, reliable and affordable. If you too are looking for able guidance to move a house or office, give a call to us on 1300 223 668, We’ll be happy to help.